Company: Miller, Pearson, Gloe, Burns, Beatty, & Parrish, P.L.C. 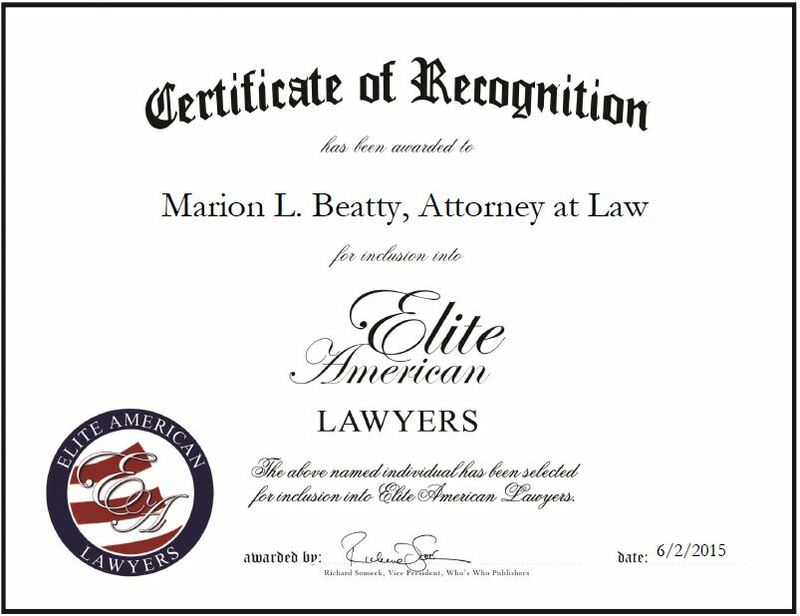 Marion L. Beatty is an established attorney at law who has garnered 39 years of industry experience. He gravitated to the field at a young age due to his strong desire to serve the public and individuals. His interest in civil litigation developed as a result of the exposure he received as an associate in his first post law school job. Mr. Beatty has focused his career on the areas of personal injury and civil litigation. He has worked with countless clients on a wide range of issues, and has dedicated his time to ensuring the daily business operations run smoothly. Mr. Beatty’s dedication to his clients’ needs and desires has earned him a stellar reputation throughout Iowa. He was named an Iowa Top Lawyer by Super Lawyer and as one of the Top 100 Iowa Trial Lawyers by the American Trial Lawyers Association. An AV Preeminent Attorney, Mr. Beatty attributes his success to having great mentors and remaining dedicated to the profession, as well as having a good work ethic. Looking toward the future, he intends to maintain the excellent reputation of the firm and its standing in the community. He also intends to continue recruiting and mentoring new attorneys. This entry was posted in Civil Law and tagged AV Preeminent Attorney, Iowa, litigation, mentor, personal injury, trial lawyer. Bookmark the permalink.